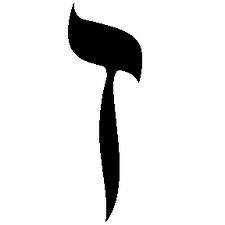 HEBREW LETTER: Zayin, sword, symbolic of intellect and representative of division, multiplicity, severing, severity. CARD NAME: “Lovers” is the title of the Second Grade of the Order per Liber Legis, equivalent to Adept. It comes from the Indo-European root leubh-, “to care, desire, love.” Important derivatives include belief, love, libido. ESOTERIC MEANING: The Consciousness of Sensation (or Consciousness of Disposition). It provides faith to the Compassionate (i.e., the Adepts), and clothes them with the Holy Spirit. Within the Supernals, it is called the Foundation of Beauty. TANTRIC & ALCHEMICAL SIGNIFICANCE: The Wedding. Declaration of the Work to be done, employing a complex alchemical symbolism. Solve. DIVINATION: Inspiration, receptiveness, intuition, intelligence, “second sight,” childishness, frivolity, triviality, thoughtfulness divorced from practical considerations, indecision, contradiction, self-contradiction, instability, the necessity to choose between alternate paths. May mean love, union, the proper mating of opposites, resolution of differences, a proper relationship between the inner and outer aspects of life (or between subconsciousness and ego-consciousness). This is the holy sacrament of marriage, that one who are two can realize themselves as one again. Practically, this is about owning your projections and how karma operates--drawing toward us magnetically any truth denied. It is the real life experience of the way light is absorbed and reflected. We see everything we refuse to admit about ourselves on the outside. We need to marry that reality. This is the secret of the twins. Of fraternal relationships. "As brother fight ye." Be thou wedded each experience, each other thing. From the perspective of infinity, they are united anyway. This is Tantra and all the unifying Yogic practices. This is also the explanation for all turbulent relationships. The things in the other that we need to be complete. This is what draws us to the other, the image of what we need nestled within them. Shout "hallelujah!" and "mazel tov!" When we achieve nuclear fusion.